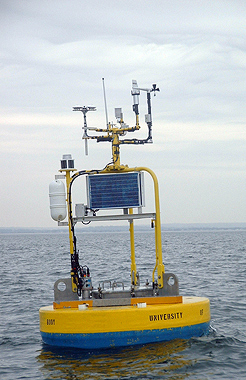 Approximately 3 miles offshore of Greenwich, near CT DEP's Station C2, in 18.3 meters (60 feet). Neptune Sciences, Inc. single axis non-directional wave module. RDI 300 kHz acoustic Doppler current meter.